- Altberg Peacekeeper P3 VS Aqua - Noorloos Specialist Equipment B.V.
Peacekeeper P3 VS Aqua is a dual use public order/patrol boot – based on Altberg’s best-selling safety boot, the P3 Original, the specification has been changed to meet the requirements for the Public Order Standard BS7971-5 (Type 2, Level 3), and meets the S3 rating including anti-static properties. The sole is ideal for use in urban environments and is tested to pass the higher slip resistance requirements. The Sympatex waterproof lining for patrol/general duties – in both urban and rural conditions. 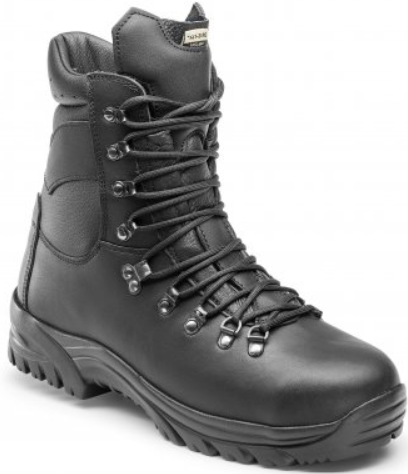 By comparison with other makes of public order boots, the P3 is relatively lightweight and the P3 design is tried and tested for all day comfort. 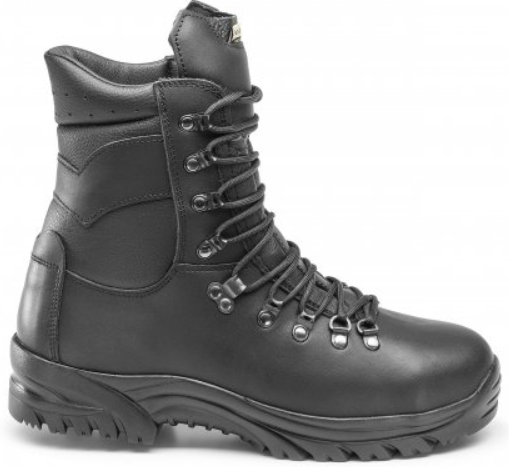 Type 2 Level 3: Public order boot. Provides some protection against slipping and impact to toe area. Some protection against low energy impacts to remainder of foot, and against thermal hazards. SB: Safety basic requirements: Impact protection provided is 200 joules; Compression protection provided is 15,000 newton’s.